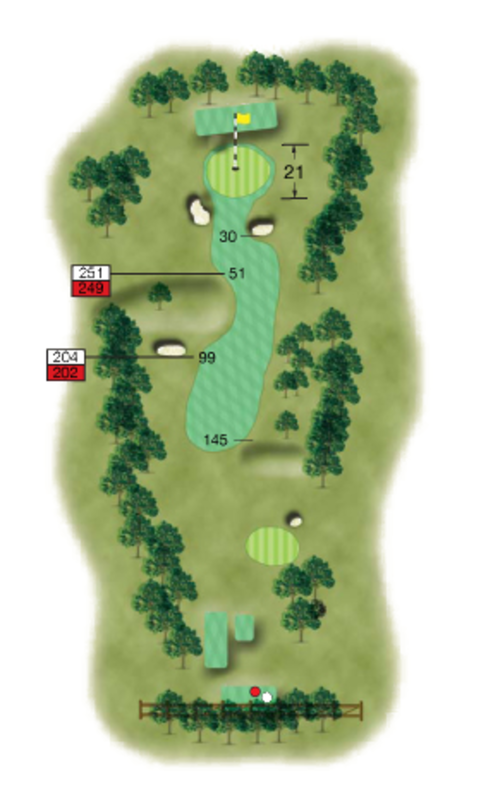 A straightforward, short par 4. A large hollow greets any drive that is pulled left and can leave a blind second shot. The green is guarded by bunkers either side and has some severe borrows to contend with. 3 putts are not uncommom on this green. Play for the right half of the fairway from the tee. The green slopes away from you, so it's best to pitch the approach shot short of it.